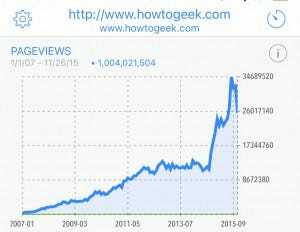 Nine years after starting How-To Geek, we’ve served up 1 Billion pageviews to our readers. Here’s the (brief) story of how we did it, and how we’re going to take things to the next level. Spoiler: We’ve hired an awesome new editor-in-chief. 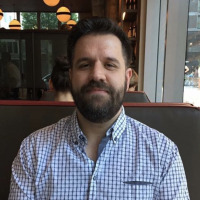 In case you don’t know who I am, my name is Lowell Heddings, and I’m the founder, owner, server admin, programmer, and current editor-in-chief of How-To Geek. Ten minutes of brainstorming later, I registered howtogeek.com, setup a quick WordPress site, and spent the rest of the day writing articles. The logo was based on a drawing from high school that I had scanned in a few weeks before. I added a couple of ads to the page, and promptly forgot about the entire thing. A few days later I remembered and went to check to see if I had made any money. Imagine my surprise when I had made $2 in just a few days. This, I told myself, is what I’m going to do with my life. Building a website without funding from rich people is hard. Many months went by where I worked 20+ hours each day, writing articles before going to my day job, and then staying up all night long writing articles. I had access to the Windows Vista beta, and it was so annoying that I had a rich vein of article ideas to work from. By the time Windows Vista was released, How-To Geek was the only site on the Internet with not only a full set of articles on how to fix all the annoyances, but the only one that had pictures to go along with them. Within days of the Windows Vista launch we went from a few thousand views a day to tens of thousands every day, and our reputation as a help website was solidified. From there the trend just kept going up… slowly but surely. We made a lot of mistakes along the way (does anybody remember Productive Geek or the ill-fated How-To Geek “Blogs”?) and we had a lot of success (Geek Trivia and our email newsletter). 1 Billion pageviews in 9 years. Not bad. These days we’re seeing the result of working so hard for so long: 20 million unique visitors every month and hundreds of thousands of people have subscribed to the site, whether on RSS, Facebook, Twitter, or through our email newsletter. We went from this site being my hobby to it being a successful business with eight full-time employees and a lot of freelancers. We’ve seen competitors come and go, and we’ve continued on. We’ve had 1 billion page views since we started, which is an incredible milestone, but it’s just the start. When we started the only things we really covered were Windows and Linux, and it was a lot easier to keep on top of technology. Over the years technology has changed dramatically — the world is mobile now — and with those changes has come an explosion in what we need to cover to be a general interest tech site. Now we need to cover iOS, Android, Windows, OS X, Smarthome, apps, services, and so much more. Since I’m the CEO, server admin, programmer, and also the editor-in-chief, I’m stretched far too thin to put the focus where it needs to be: On you, the reader, and what you’d like us to write about. I don’t have time to give the writers the feedback and direction that they ask me for, and I don’t have the energy to tinker with technology like I used to. The biggest thing holding How-To Geek back from where it needs to go… is me. And let’s face it: we haven’t done a great job lately covering things like Android and Windows, and a lot of people have complained that there’s too much Apple focus, or that we haven’t covered Windows much lately, or Android, or Linux, or any number of things. These are valid complaints. So how do you take a successful site and make it much better? Simple: you bring in the one person who ran a more successful site than ours, and is much better for the job than I am. He’s the kind of guy who builds his own computers and loads custom ROMs on his old Android phone to make it run faster. He’s a true geek. And an amazing writer and editor. 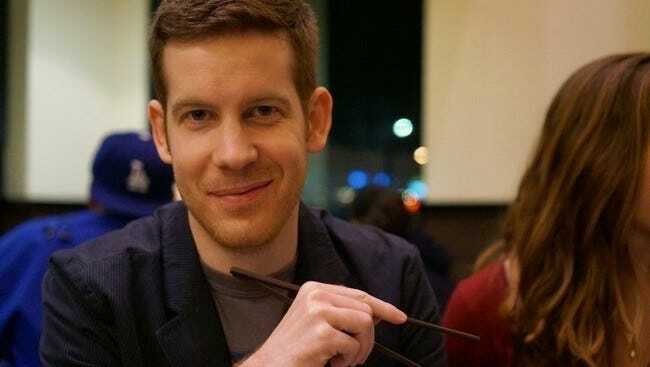 Starting January 1st, Whitson Gordon, currently the Editor in Chief of Lifehacker, will be joining How-To Geek as our new Editor in Chief. Whitson will be responsible for all editorial decisions, and he’s going to help take things to the next level. He’s the guy who would actually know whether editor-in-chief is supposed to be capitalized in this sentence because I have no idea. He’s the only choice we even considered for the job, and we’re thrilled that he’s decided to captain this ship. We are going to branch out into new areas (PC hardware, gaming, Smarthome, cybersecurity, and more) while doing a much better job covering what we already cover today (Windows, Android, iOS, Office, etc). We’ll be more timely in covering things — we still aren’t going to ever be a news site, but when important things happen, we need to do a better job of explaining them sooner. We’re going to work to engage and build the community more, whether on our forum or through our social channels. These are all things that we’ve done a pitiful job of so far, but with Whitson in charge, we’ll do a better job of in the future. We’re working on going back through all of our articles and making sure that they are all updated and valid. And we’re going to keep our articles updated all the time — it’s a huge project, but it’s something we need to do. A few months from now, we’ll be unleashing a revamped and reorganized site that makes it easy for you to find articles about a particular topic. If you are interested in articles about Windows security, you’ll be able to easily drill down and find them. Many of our readers will be happy to know that Whitson is a Windows and Android user, unlike myself who is such an Apple fanboy that I’m writing this in the iOS Notes app on an iPad Pro. Make sure to give Whitson a warm welcome in the comments, even though he’s not actually starting for a few more weeks. I’m not going anywhere, we have some big projects in the works, and I’ve never been more excited to be a part of How-To Geek. And now, for the first time, I can be a How-To Geek reader like everybody else. Here’s to another billion pageviews.